Franklin Performing Arts Company (FPAC) proudly presents the musical theater masterpiece Fiddler on the Roof. The beloved classic opens FPAC’s 26th season. Performances are October 15 at 7:30 p.m., October 16 at 2:00, October 21 and October 22 at 7:30, and October 23 at 2:00. The production will be staged at THE BLACK BOX, FPAC’s home and performance venue, located at 15 West Central Street in downtown Franklin. Winner of nine Tony Awards when it debuted in 1964, the iconic musical is the brainchild of Broadway legends Jerome Robbins and Harold Prince, songwriters Jerry Bock and Sheldon Harnick, and book writer Joseph Stein. Touching audiences worldwide with its humor, warmth and honesty, Fiddler on the Roof is a staple of the musical theatre canon. Set in the small village of Anatevka, the story centers on Tevye, a poor milkman, and his five daughters. 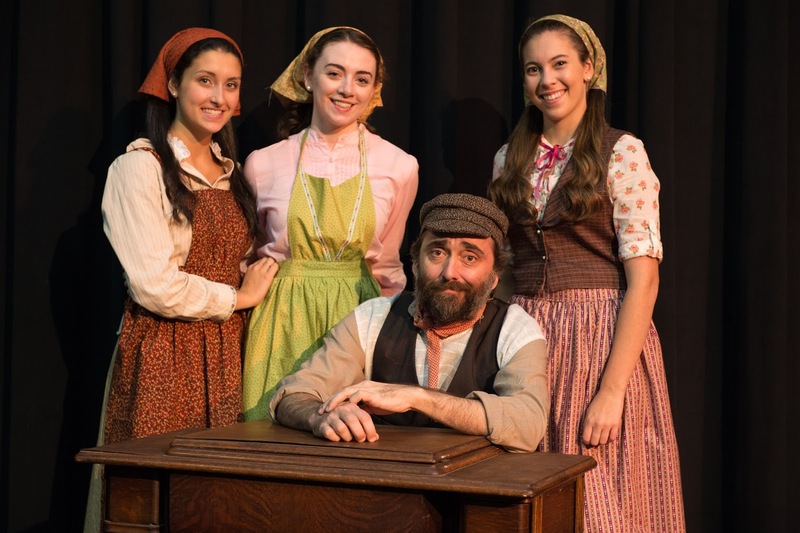 With the help of a colorful and tight-knit Jewish community, Tevye tries to protect his daughters and hold onto traditional values in the face of changing social mores and the growing anti-Semitism of Tzarist Russia.